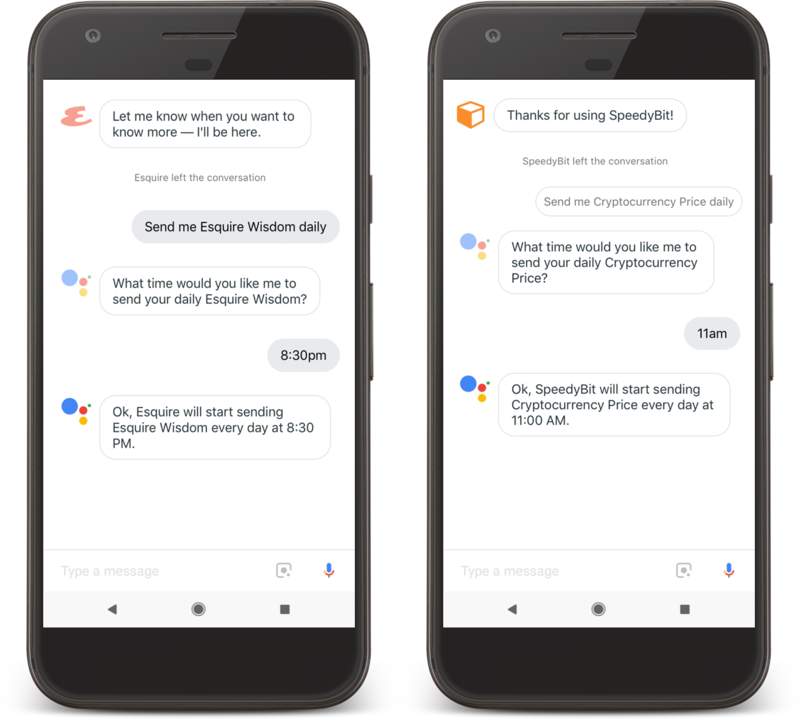 Google sometimes stealthily deploys new features here and there in Assistant without telling us, but today's update is a big one with some fanfare. There are changes on the way to media playback, Assistant-enabled devices, and subscriptions. Some of these features are rolling out now, and others will be live in the near future. It's a colossal Assistant update overall. 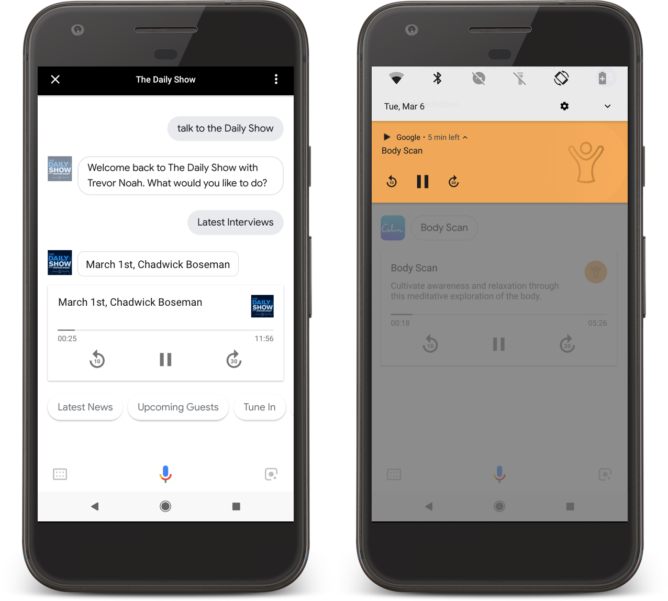 Assistant has long supported subscribing to certain tidbits of information, in fact, it was one of the original demo features in the Allo version of Assistant. The latest wrinkle is that you can subscribe to third-party Actions and get daily push notification updates. For example, you can tell Assistant you want a daily update on cryptocurrency prices from SpeedyBit. Developers of Actions do need to add this feature, so not all of them will work out of the gate. Media-based actions have access to more playback controls starting today. Actions can include support for voice commands to control playback and access additional content. On your phone, audio from Actions will produce a media notification you can use to manage playback as well. For visual content, Assistant now has a browse carousel. Actions that are connected to Android apps also have new Assistant features on the way. Google will allow developers of Actions to plug into digital purchases including paid app purchases, in-app purchases, and in-app subscriptions. So, if you paid for premium content in an app, an Action can be aware of that and make it available via Assistant. Again, developers need to implement this support and push out an update for Google's review. The last big Assistant addition is a bit harder to parse. 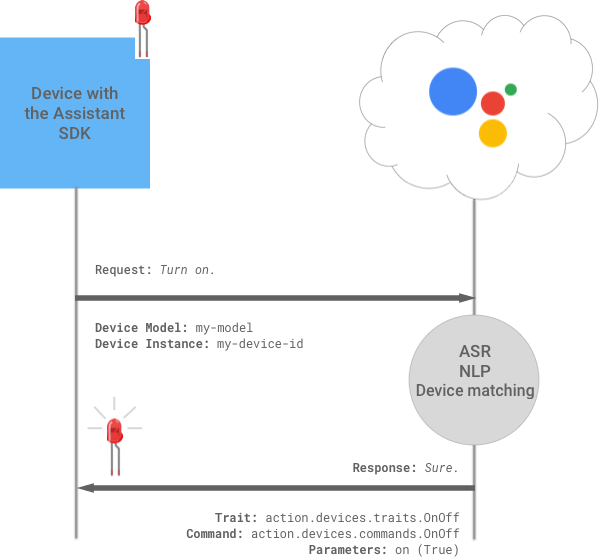 Google says Assistant Actions now support a feature called Custom Device Actions, which allows an Assistant device to use more specific voice commands. From the documentation, this sounds like it's only for devices with embedded Assistant like the Nest Cam IQ and the iHome speaker announced at CES. That's different than a piece of hardware that just works with Assistant. There aren't many examples of hardware with built-in Assistant yet, but developers will be able to include custom commands in them going forward. You wouldn't have to say "Talk to X" before issuing a complex custom command. You'd just talk to the device and tell it what you want. Most of the new features are available to Actions developers starting today. End users will see things change gradually as updates roll out.